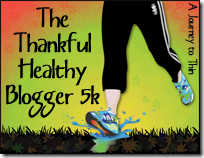 My Journey to Fit: Friday Mish - Turkey Trot 5K Recap! Friday Mish - Turkey Trot 5K Recap! Yesterday I tortured my family started a new family tradition by getting everyone up bright and early for a Turkey Trot 5K! There were a few protests from the boys, who didn't arrive at our house until after 11:00 pm the night before, but hey, they're young and in college so they must be used to lack of sleep, right? Anyway, this was the first annual (I hope!) BCS Fitness Turkey Trot 5K - and for a first race, it was a big success! Over 400 people registered for the run; they were doing race-day registration before the race began and had to make an announcement that they were closing registration as they were all out of goodie bags/shirts/bibs. How wonderful to see such a big turn out on Thanksgiving morning! And although a cold front was predicted to hit later that day, naturally it was something like 72 degrees and humid for the 8:00 am race start. Wouldn't be a Texas race with out that kind of weather, it seems! This was the first time I've run since my half marathon, five days ago. Max and I were going to run it together, while Sam and Jeff walked/ran it. 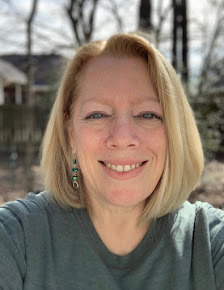 I was feeling pretty good and excited about running again, which worked a little to my disadvantage, since I started out way too fast - I haven't made that mistake in a long time! My first mile clocked in at 10:59...yeah, I couldn't hold that pace for long! Second mile was 11:43, third was 11:59 - but, I actually had a PR for the 5K with a finish time of 35:37 - woohoo! Super-cute race shirt and swag - there was more in this goodie bag than there was in the half marathon bag! Nice job, race organizers! Max, Jeff and Sam - best shot I could post, as someone was always making a goofy face. Sam, me, Max - and yes, that would be my half marathon shirt I'm wearing! Max and I discussing pre-race strategy, which consisted of me saying "please don't leave me in the dust" (he didn't, until the last two-tenths - at which point he sprinted to the finish line) - wish I had that much energy at the end! ...and finished! No finish line pictures since my photographer was actually participating in the race! This race counted toward my participation in Alissa's, of A Journey to Thin, Thanksgiving day 5K contest. Thanks, Alissa, for the reminder to keep up our fitness, even on a holiday! After the race, we came home, showered and ate a quick lunch, and then headed out to go see the new Harry Potter movie. Sam wanted to see it in the new XD theater, so we made sure we got there early. OK, maybe we didn't need to be *quite* that early! The new theater was super fancy, with leather seats. It had that "new car" smell - a nice change from the "old popcorn" smell that they usually have. Great movie - can't wait for Part 2. Continuing with our not-normal Thanksgiving, we had a late (for us) turkey dinner in front of the TV - the A&M/UT game was on and we didn't want to miss it! Fun times - the food was important but not the main focus of the day, so that was cool. And I didn't end the day groaning in pain because I ate too much - yay me! Hope everyone who celebrated Thanksgiving had a wonderful day; now, onto Black Friday (yes, we have our eyes on one thing (that I can't mention because someone might read this) so we will be out with the early morning crowds). And then later on today I will be working - James Avery never has sales, so although it will be busy, hopefully it won't be crazy. Have a good weekend - I'll have a review and giveaway for Monday so be sure to come back for that! What a great day! Loved reading it! Great photo's too and what a great idea to start a new family tradition! I can't wait to see the new Harry Potter, reading this reminds me I have to talk to R. this weekend when he wants to go. Congrats on your new PR my rockstar! I LOVE the idea of the whole family doing the Trot together. What a fantastic influence you've been! I imagine your men are proud of you. BTW, handsome boys you have there...all 3 of them! Sounds like you had a glorious Thanksgiving. Here's to changing things up from the old ways - some traditions stay but nice to leave room for new fresh ones. It looks like you found your "happy place!" What a great new tradition to start with your family! I've been itching to run since my half, too. I think tomorrow is the day! Great job on PRing your 5k! I think its a wonderful family tradition - kind of makes you want to kick yourself for not starting your journey earlier?! What a great day! Love the shoes pic, and the empty theatre pic. Wow, leather seats in the movies. I'm in the mood for a movie, think I'll go see the Harry Potter. Thanks for the thumbs up. Way to PR! What a great week of running you've had! Hope the 5k tradition lives on Shelley! What a great day for you!! I love the new tradition. And congrats on the OF. Awesome! Happy Turkey Day....a little late. oh wow you did the whole black Friday thing!!! girl you are brave, the news here in Los Angeles included shots fired, fights, shoppers trying to push their way into the stores, total madness!!! intranet point and click for me!!! Curious if you were successful in your Black Friday endeavors. I wish we had a local Turkey Trot. That would be so awesome. Good for you geting the family out there and going. what a fantastic fun family day, Shelley. Whee! And you all wore your race shirts after! Matchy-matchy! While I didn't run ON Thanksgiving, I did make my dad bundle up and take a very, very cold and brisk 4 below walk with me. Keeping warm burns calories! What a wonderful new family tradition! And the pic of the shoes is adorable! Woohoo, good for you with your first Turkey Trot! I love your race recaps so much.